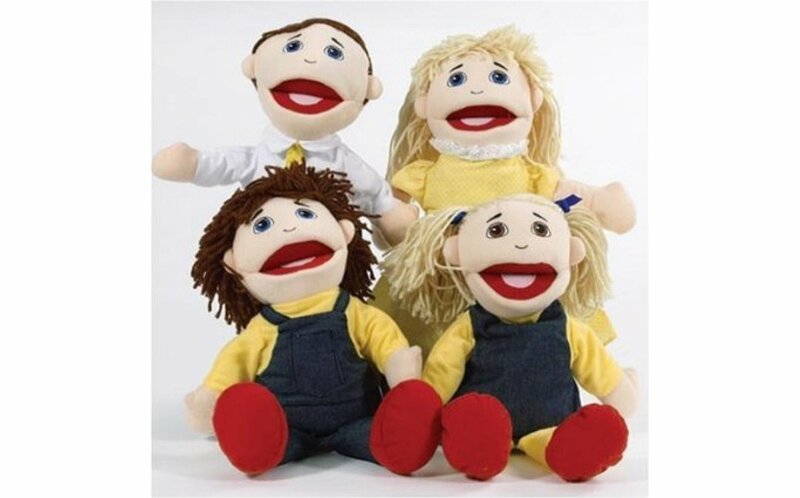 Set of four full bodied Caucasian family puppets. Soft hair, plush bodies, able to manipulate the mouth. Parents are 15". High quality puppets with sewn on clothes. Surface clean. These are well made puppets. I am sure that they will last us quite a while and I expect that we will require another family.